Mozilla launches yet more projects, Krita had a brush with the tax man, Flash is on the way out, Debian is almost totally reproducible, Mycroft on Plasma, and Linux as a Windows and Mac replacement and more. With Jesse and Félim away, we asked Michael Tunnell to join us. On the last episode Jesse told us about his nightmare with Pop!_OS. It turns out that he really did dd the iso over sda so it was definitely his fault. This episode of Late Night Linux is sponsored by Entroware. They are a UK-based company who sells computers with Ubuntu and Ubuntu MATE preinstalled. They have configurable laptops, desktops and servers to suit a wide range of Linux users. Check them out and don’t forget to mention us at checkout if you buy one of their great machines. If someone is interested in switching to Linux, what distro or desktop would be the most suitable drop-in replacement? Perhaps that’s the wrong way to look at it and we should show them a world beyond their old experience. See our contact page for ways to get in touch. RSS: You can subscribe to the MP3 feed or the Ogg feed. 45:12- lol Hey now Ikey! I run Arch with I3 (no desktop environment) as my main OS on my main laptop (lenovo T420) and it is the best Linux experience I have ever had in my years of distro. hopping. I distro. hop no more! To be fair though, on my fancy 4k entertainment/gaming only laptop with an nvidia optimus situation, I do run Solus…. I think mirroring the muscle memory and look and feel of Mac OSX and Windows is important. I’ve been using Macs at work for decades now, and for me “the correct way” to have window controls is on the left hand side of the window. I like a dock at the bottom, menus at top, and the usual Mac desktop wallpaper and such. I like KDE and have been using it, but no Desktop icons, folders, and such? That’s not very useful. I have pricey Macs for work, they are my employers not mine, this is my laptop and a very nice one too, running Xubuntu 16.04 with XFCE themed with noobslabs.com to look like Mac OSX. You can theme XFCE very quickly to have the window controls on the correct side of the window, you can either run Plank or simply set up another panel at the bottom and have it auto-hide like Mac OS X. The only difference is the IMPROVEMENT in the workspace handling, you get nice little icons instead of mouse gestures, you can set the terminal up to have different backgrounds for each one, very handy, and you can have Slack and all your Mac apps mostly working on Linux as well. My Xubuntu main dev laptop is used for serious side gigs involving dev work, and I find not having to switch muscle memory modes and “oh yeah, close button is over here not there” helps me be more productive after my main gig. There are to be fair a lot of “work Mac users” who want that look/feel on the more … affordable kind of things and would rather eat than say, buy a Mac. I’m one of them … and the beauty of Xubuntu in particular is that it can be themed quite rapidly to look like either Windows XP or Mac OSX Sierra with little effort. Personal note — after adding more RAM I’m back to XFCE, it seems to be running OK for now and I like it better than KDE — Thunar is better and more Mac OSX like than Dolphin, KDE is difficult to set up and theme, the KDE terminal is a pain to set the environment variables for Ruby development unlike XFCE terminal, the Whisker menu beats KDE’s search apps feature which is buried several layers deep. However if XFCE gets too aged and ancient my plan B is probably KDE though I will likely give Mate a spin as well. This was a nice episode overall, but I missed Jesse and Felim. Having already listened to recent episodes of Linux Unplugged and Linux Action News with Michael and Joe, I felt like this episode was a little repetitive. The Windows/Mac discussion was nice, but I think more specific cases needed to be discussed. There was a lot of vague talk about how it depended on the situation which isn’t the best listening. By the way, any chance we could get a guest appearance from Paddy one of these times when other hosts are out? Or can Joe not be brought to do all the editing again? In regards to the section on the desktop you would recommend to a person moving over from Windows/Mac, never have I heard people try so hard to avoid answering a question… I was constantly laughing. I do get the question was not black and white, but it was not so bad that a long explanation was needed before not answering the question. Great laugh. Myself I moved from Windows to Ubuntu 16.04 with Unity and hated it and there were times I wanted to go back to WIndows. But I have Mint Mate and I cannot imagine using Windows or Unity now. To me the Window XP desktop just feels natural, that is why I (and my partner) use Mate now. Nice to hear further cross pollination between Jupiter Broadcasting and Late Night Linux by having ProducerMichael join the show. There are currently 3 distros I would set a new user up with. 1st is openSUSE Leap. I can count on Leap, it is stable and the machines I have set up for people have been trouble free. The downside, I have to update them every year however, zypper makes that easy. I would use KDE because it is very Windows like and comfortable. Instead of the Windows Icon it is the Geeko Logo but everything else, for a new user, is really about the same. The software availability is also quite vast so, it is not likely something will not be available. 2nd Ubuntu MATE. The way the whole Software Boutique is set up, I really find this approachable for a new and eager user. I am not as big of a fan of how it works, it does indeed work well. Ubuntu’s base, is of course quite good and the software selection is not limited. Even though I am a supporter of Solus and the software center on it is great, I think it is more of an advanced distro that I would recommend and coach through someone eager to use it. The only piece about openSUSE where I think it lacks is that it doesn’t have the comfortable welcoming, accessible software landing “page” to ease someone into the ecosystem. Linux players spending so much energy redoing esoteric libraries and desktop environments is exactly the reason why they are making so little progress in actually taking over the Windows/Mac userbase. The new Windows 10 is a horrible chokingly-restrictive data-harvesting environment and I would flee it in a heartbeat, but on the Linux-side there is just no core suite of competitive applications (with alternatives to software like XYplorer, Outlook, Nitro Pro, Mediamonkey or SyncbackSE) as well as flawless out-of-the-box Windows (CPU and GPU) virtualization for the times that you still need to use work software from companies like Adobe or Autodesk. Instead many big corporate backed distro’s are even ignoring top of their vertical software like VLC or QBittorrent, while shipping useless alternatives with Fisher-Price GUIs for such every-day essential applications. 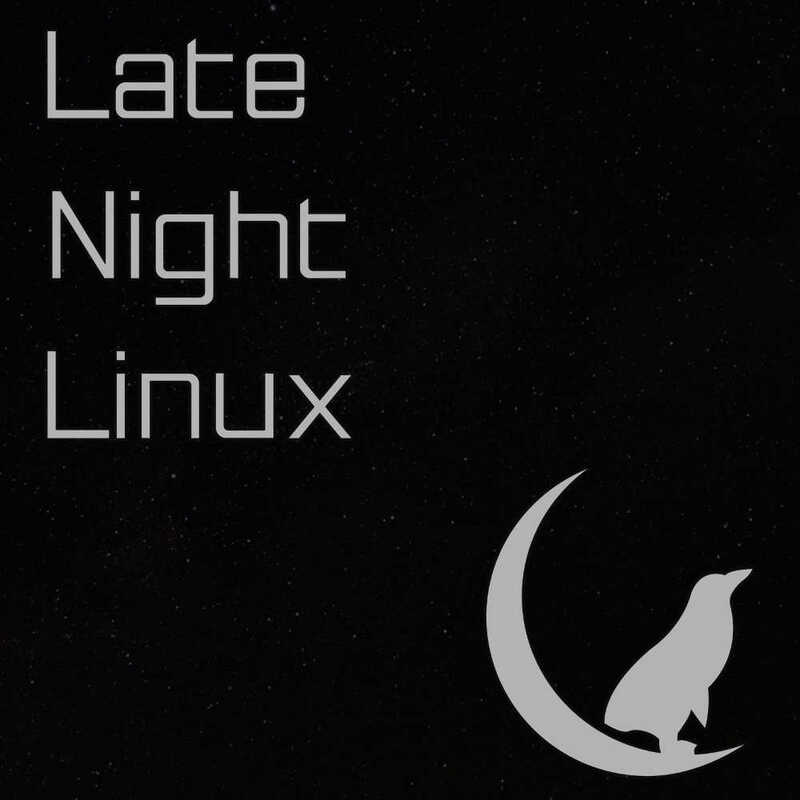 Copyright © 2019, Late Night Linux. Proudly powered by WordPress. Blackoot design by Iceable Themes.